This event was to celebrate the launch of the Phantom Poetry Project featuring US poets to toast the arrival in Seattle of the Phantom Poetry Project. 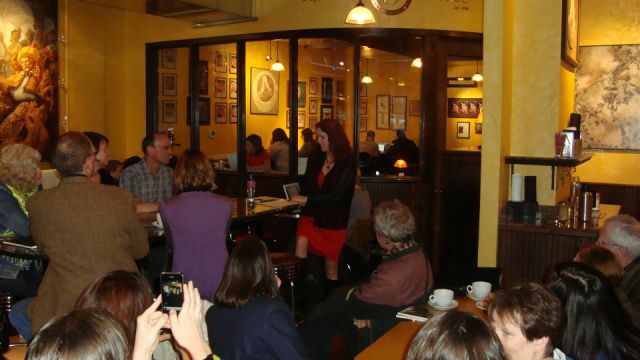 At 7:00 pm the poets and spectators arrived at Vivace Espresso at Brix on Capitol Hill in Seattle. Everyone grabbed a cup of coffee, a beer, and pastries. 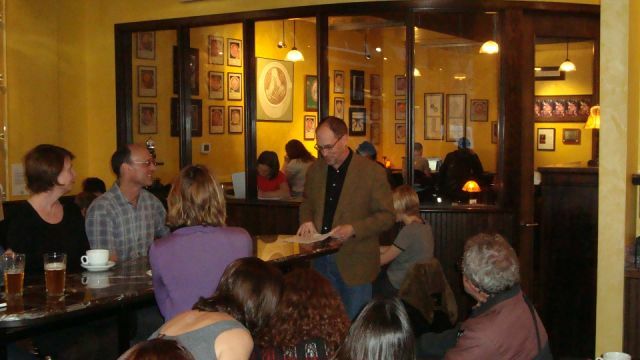 The poets read amidst the coffee shop crowd as well as a sizable group who came for the reading itself. The coffee shop was full. Marcie Sims began with an overview of the International Poetry Poster series and the other cities the posters have been featured in and the next series coming up. She also gave credit to Jim Wilson and to all the folks at Phantom Billstickers for all the work, support of the arts and poetry, and innovative approach to bringing poetry to the masses! Then the poetry reading began, and the poets read one or two poems each (and managed to make themselves heard over the romantic sounds of the whirring steam and tamping thuds of the baristas!) 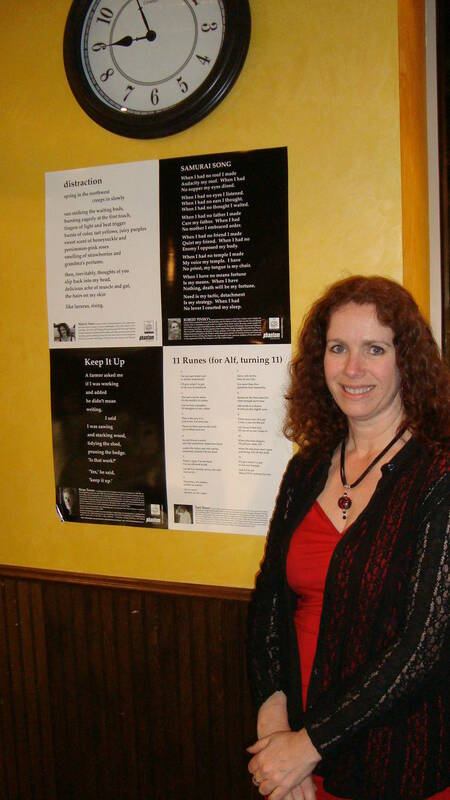 The Seattle poets who read and helped launch the beginning of postering in Seattle for the Kiwi/USA poets in this round include the following: Marcie Sims, Bob Mohrbacher, Jen Whetham, Peter Ludwin, and Jaeney Hoene.